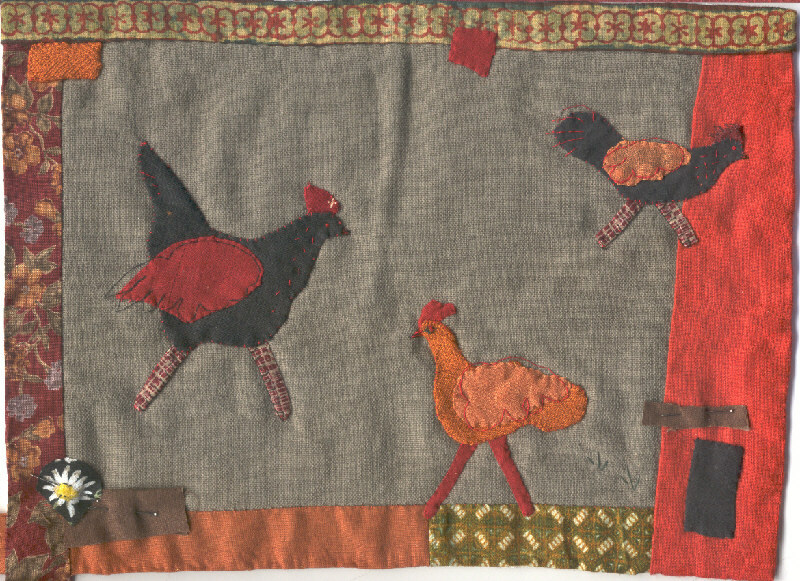 Wall hanging completed Dec. 2006 for my parents' belated wedding anniversary present. 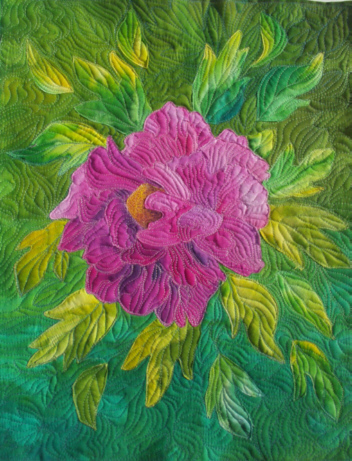 Free-motion raw-edge applique image of one of the spring tree peonies that bloom in their yard in Virginia. I hand-painted the fabric with Pebeo Setacolor paints. Quilt in progress for the past year or more - I have been hand-piecing diamonds using the English paper-piecing method (despite the fact that I swore I would never do this again after making my sister's quilt shown below). This is my portable project. 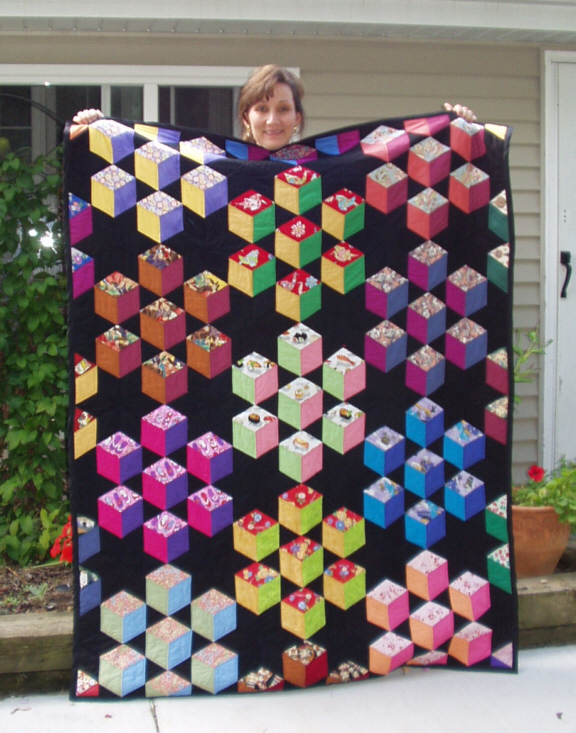 I finally finished piecing the top on Dec. 31, 2006 while watching the Packer game at a New Year's Eve party. 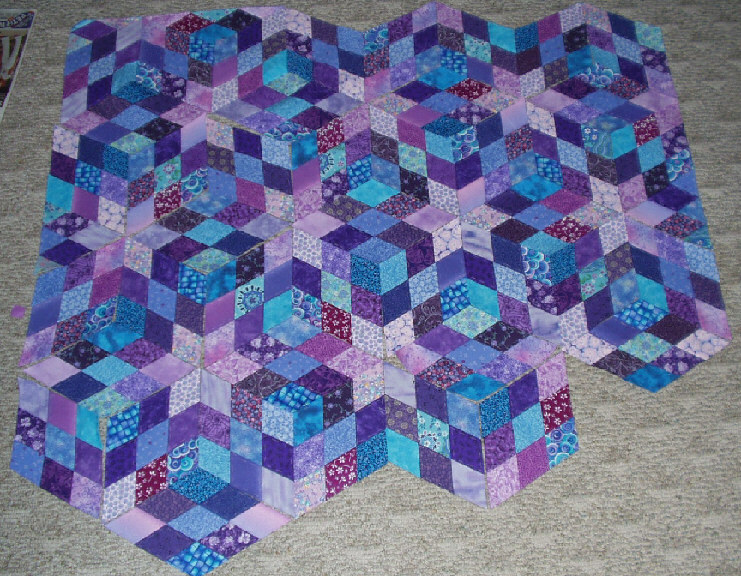 Now I have to decide whether I'm putting a border on. Then I have to baste it in time to start handquilting at the next Daytona 500 party in Feb. 2007. Stack-N-Whack quilts made for my twin nieces' 10th birthday in December 2005. 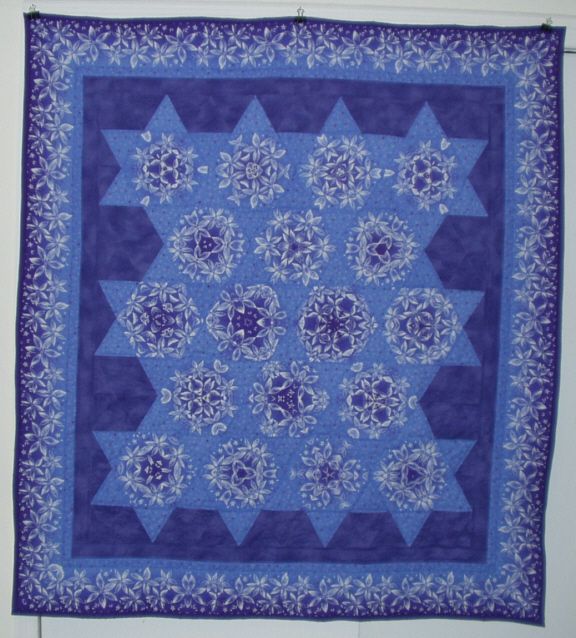 These were my first attempts at quilting on a long-arm machine. 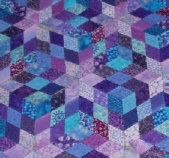 Detail of purple and red quilt. 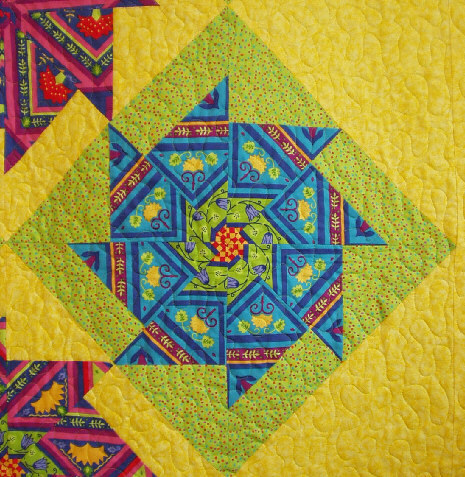 Detail of green and yellow quilt. 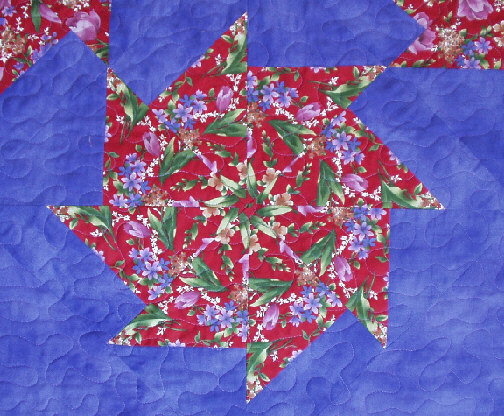 Quilt made for my sister using English paper-piecing and Japanese-themed fabrics. 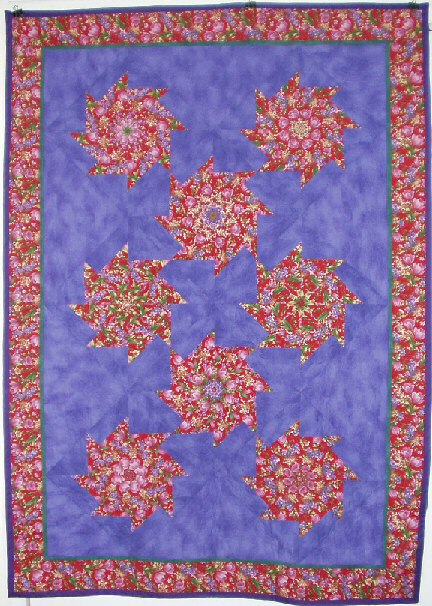 The pattern is called "Seven Sisters" or "Tumbling Blocks and Stars." 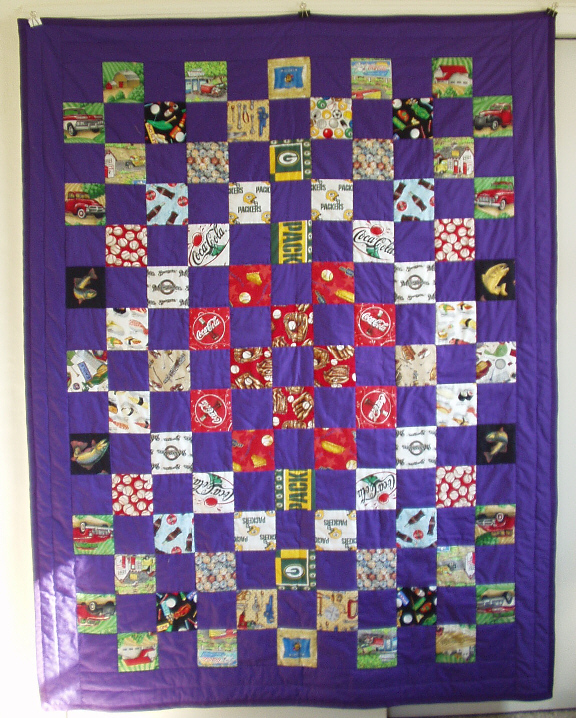 Quilt made for my brother-in-law combining his favorite color purple and various prints related to his interests (Packers, Brewers, Coca-Cola, etc.). 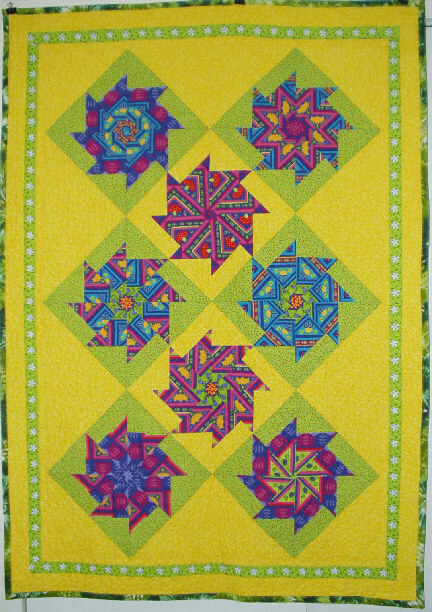 Stack'n'Whack quilt made from my friend Madeleine. 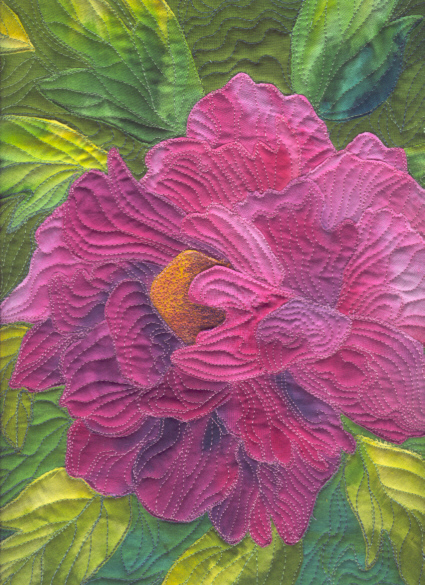 This was my first attempt at free-motion machine quilting.